People are talking about Stage of Mind! 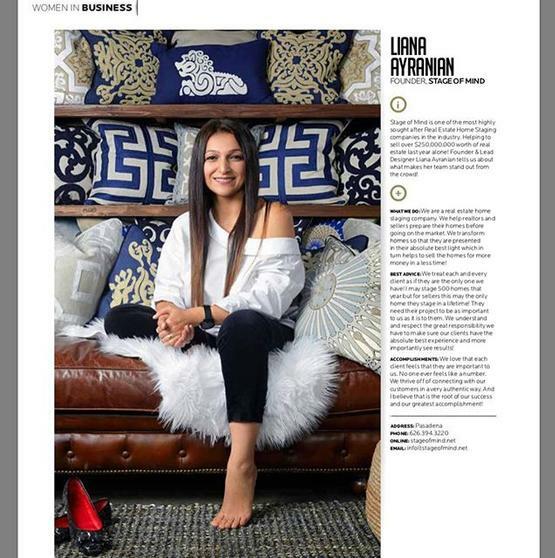 Honored to be a part of Pasadena Magazines Women in Business issue for May 2017. Meet Liana Ayranian of Stage of Mind in Pasadena. These Staging Tips Are Great to Incorporate Into Your Home Even if You Aren’t Selling. We were honored to stage a Hollywood Legend Home.